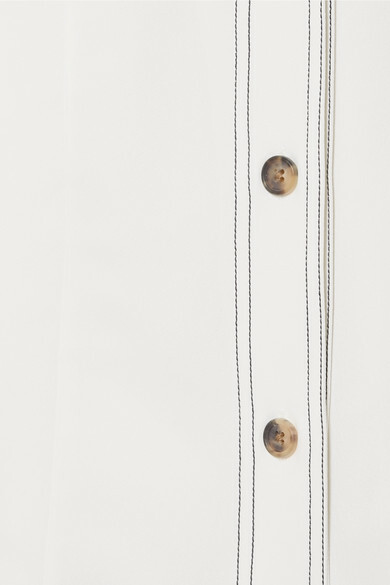 It's the smallest details that really make Khaite's 'Delia' shirt stand out - this style is traced with contrast topstitching and has elongated cuffs that almost graze your knuckles. 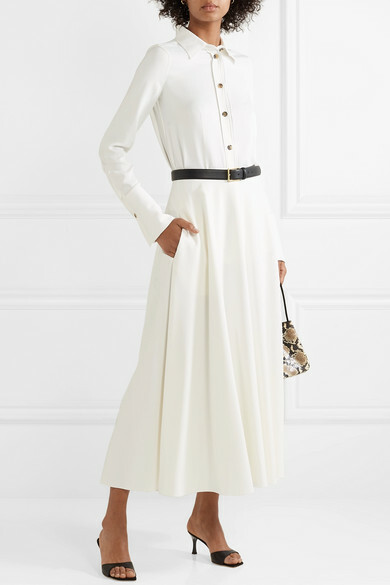 Cut from ivory crepe, it's designed for a slightly loose fit that's rounded at the hem for a polished look even when left untucked. 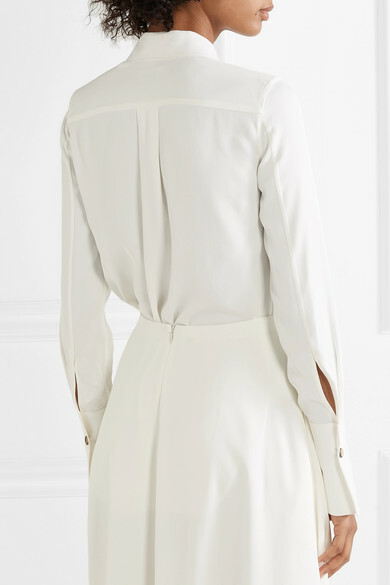 We like it best paired with a tonal skirt or tailoring. Shown here with: The Row Skirt, REJINA PYO Bucket bag, Giuseppe Zanotti Mules, Anderson's Belt.